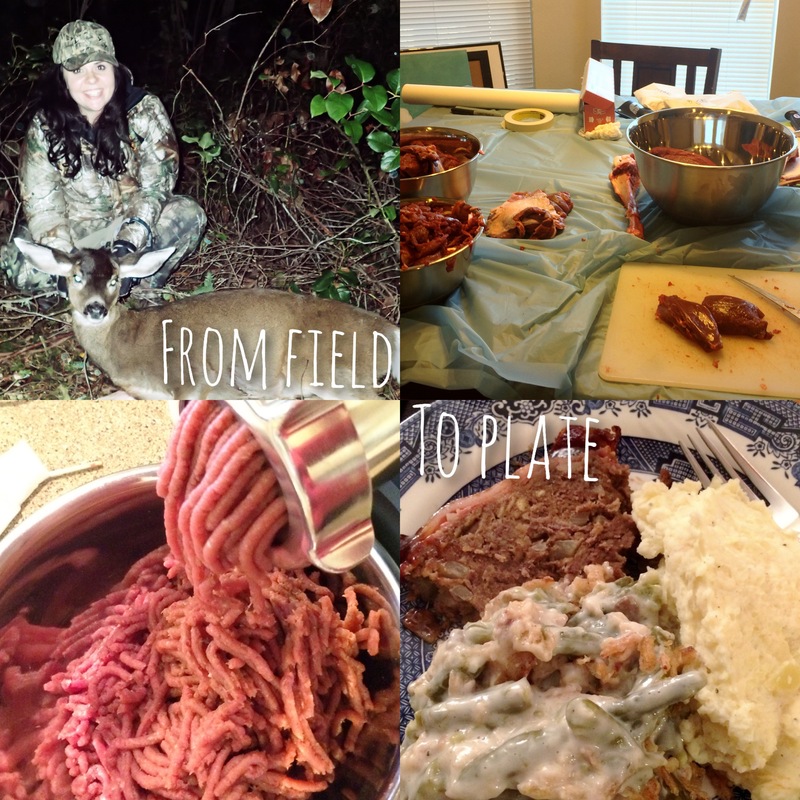 When my interest in hunting first started, the idea of providing meat for my family is what pushed me to sign up for the hunter education course. This past weekend, I served my first meal from the doe I shot weeks earlier. It was a great feeling! I used my new meat grinder to make ground venison for a delicious meatloaf recipe. I’ll share it later this week, everybody loved it! Everyone has their own reasons for why they hunt. Providing meat to eat is probably my biggest reason. I can’t wait until I have my own family and I’ll know exactly where the meat they’re eating came from. It’s feelings like this that make me so happy I got involved in hunting. My reason for the hunt too. Is to fill my tummy. Nothing better for you and safer to eat then the animals available in the wild. Looks like your grinder is working well. I have done endless animals the old fashion way, hand crank grinder. Then one day, I said, what? So I got one of the larger commercial grinders and use it every year. Still anxious to get out and do some duck hunting. My Mother is having some breathing issues. Came on her very suddenly. So have not got to venture into the world of ducks yet. Do you ever venture this way? Centralia? Oh man, I can’t imagine using a hand crank grinder. Seems like a lot of work! So sorry about your mother, hope she gets better and you can make it out duck hunting. I haven’t spent much time in Centralia actually, more just drive through on I-5. Hope you have a nice Christmas! Sorry, I replied to this awhile ago on my phone and looks like the comment never went through. I hope your mom is doing well! That’s too bad you can’t get out for duck hunting. Unfortunately, with my schedule I’m working I don’t have too much free time. I’m also in a couple weddings coming up and a lot of my free time is spent with that. Thanks for the offer though!